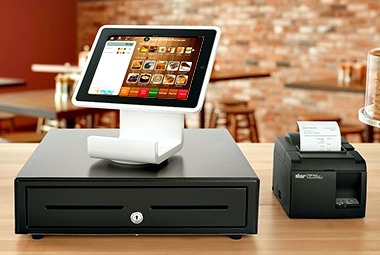 Madison Geeks provides POS Point of Sale computer systems, cash registers, security camera systems and technology solutions for the restaurant, retail and hospitality businesses. You understand the need to use your resources effectively. And so do we. With Madison Geeks as your solutions partner, you'll speed up your success. Have confidence to spend more of your time focusing on operations. You'll know your reliable partner is managing the technology backend of your business. Madison Geeks is your strategic technology partner. We offer professional business expertise by providing you with solutions that work. We specialize in the hospitality, restaurant and retail markets. Our customers get technology based solutions that not only help them run their businesses more efficiently. We also help them server their guests and customers better. From single store operations to larger restaurant groups, we provide the right suite of services, software and hardware to meet your needs. With solutions from a variety of vendors, our multi-functional restaurant software and hardware gives operators the choices and tools they need to increase sales and improve the pace of service. Your staff can use our POS solutions to enter orders and payments, streamline food preparation and delivery, and improve operations. Our solutions are also ideal for: retail, quick service, fast casual, casual dining and fine dining restaurants. They can be used on iPads, fixed POS terminals, built-for-purpose handheld devices and consumer grade mobile devices just to name a few. We also provide a variety of robust digital sign solutions for both restaurant and retail as well as IT based security camera solutions.